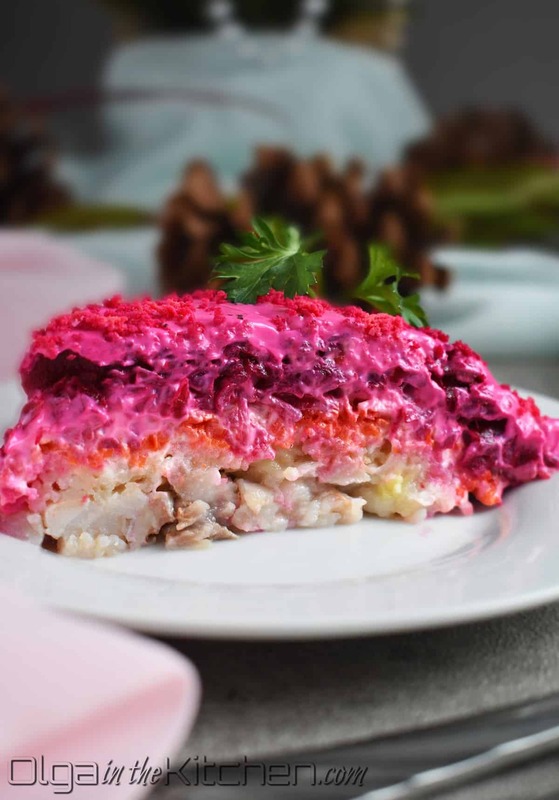 Shuba Salad (Layered Beet Salad with Herring) is an easy and festive dish created from root vegetables and very popular among Ukrainian families. The beets give a beautiful finishing touch to this salad and it’s absolutely stunning for major events. Garnish with boiled egg yolk or simply fresh herbs such as parsley, dill or scallions. Shuba means ‘fur coat’. 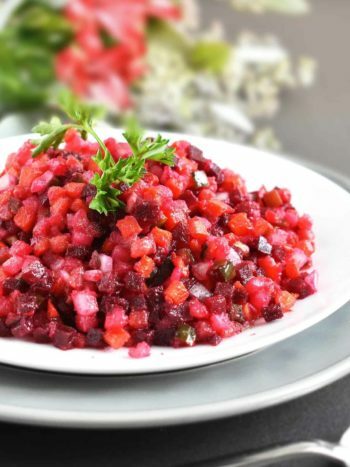 It’s a traditional Russian-origin layered salad consisting of cooked root vegetables such as potatoes, carrots and beets. Each layer is separated by a very light layer of mayo. 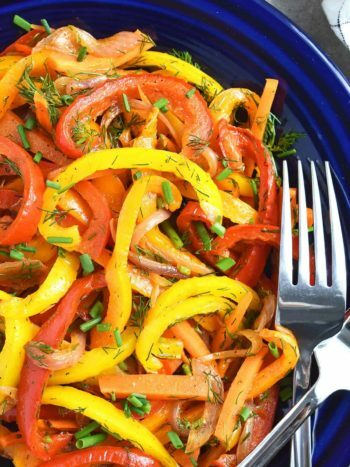 The combination of veggies in this salad is so vibrant and exquisite; it will definitely satisfy your taste. The herring plays a huge part in this dish. You can find herring at any European supermarket. This salad is more loved by adults than kids, but my family always loved this salad even when we were little kids. When is Shuba Salad Served? 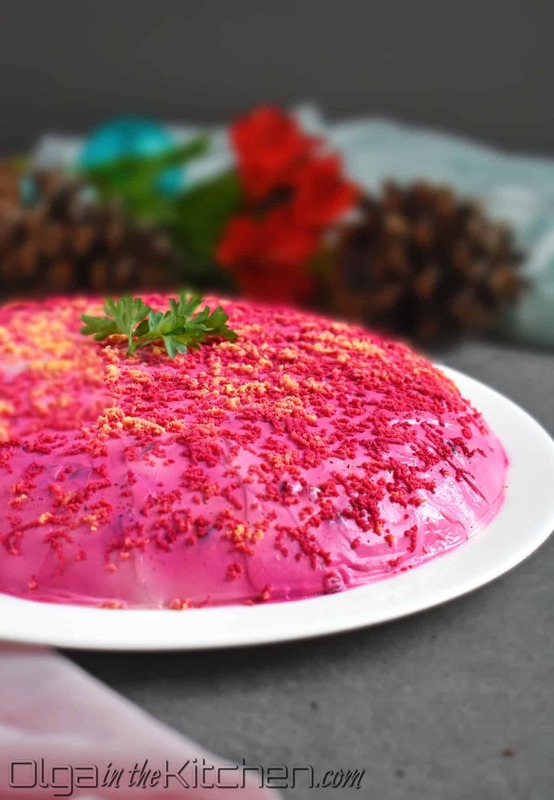 Shuba can be served at any major holiday such as Christmas, New Year’s or Easter. 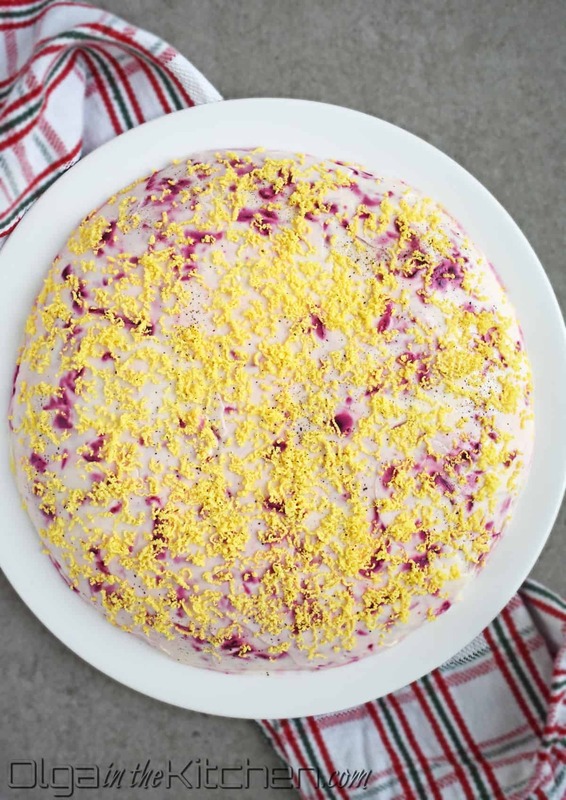 It can also be made for any big event or a typical day of the week. In my family we make it several times a year and it’s usually for guests or big gatherings. You may serve it as one of the salads along with Pork Meatballs or Chicken Drumsticks and some Classic Mashed Potatoes. Should I Make Shuba Salad with Herring or Salmon? We had never made this salad with salmon. 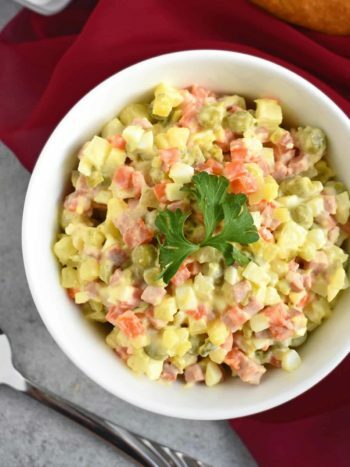 Just like Mimosa Salad, Shuba Salad had always been prepared with herring. 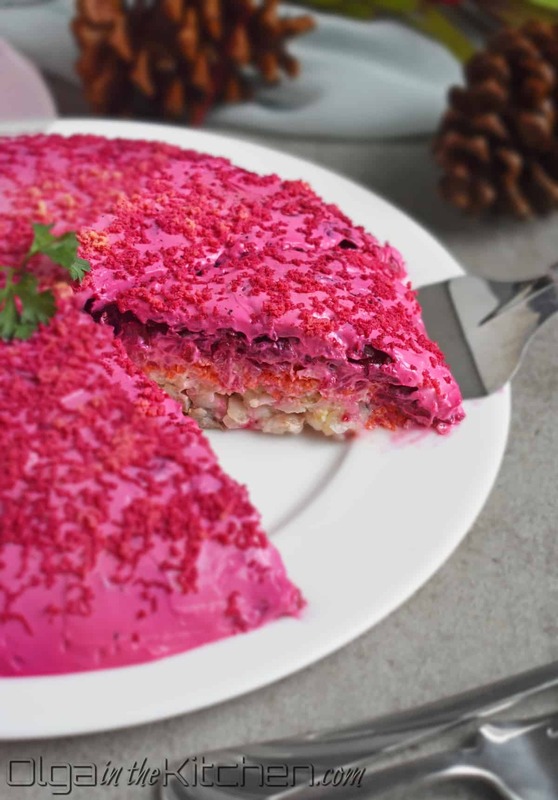 When herring wasn’t on hand, we used tuna. I believe neither salmon or tuna give that strong delicious taste like herring. This salad needs to be strong and tangy. Combination of herring, pickles, a bit of vinegar and onions provide that required tang in this dish. Cook the vegetables: do not peel the vegetables. In a medium pot, place 2 medium Yukon potatoes and 2 medium carrots. Cover with cold water, bring to a boil over medium-high heat. Reduce the heat to low and cook carrots for 15-20 minutes (take out with kitchen tongs or couple forks). Continue cooking potatoes for 10 additional minutes, until you can easily pierce potatoes with knife. 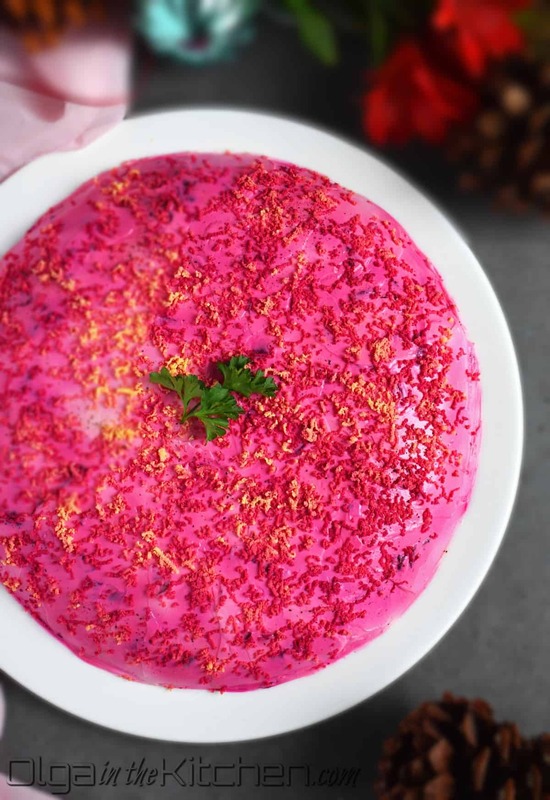 In a small pot, place 3 medium beets covered with water, bring to a boil and cook for 45-60 minutes until they can easily be pierced with a knife. Drain water and let the vegetables stand at room temperature to cool before peeling or refrigerate for faster cooling. Peel vegetables once cooled. Boil 1 egg according to this post “Perfect Hard-Boiled Eggs” (click on link). 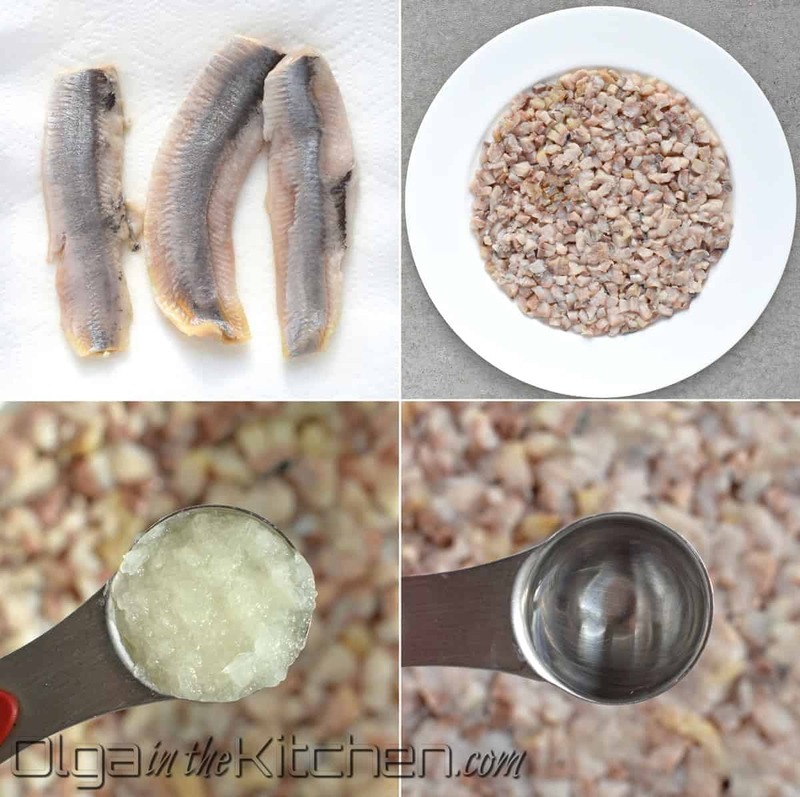 Take 3 herring fillets from the package and place on a plate lined with paper towel. Pat herring with paper towel to remove excess oil. Cube herring into 1/4” cubes. Into a dinner plate, spread herring in circle in the center of the plate, pressing gently down with a fork. Drizzle 1 tsp white distilled vinegar and 1 tsp finely grated onion. 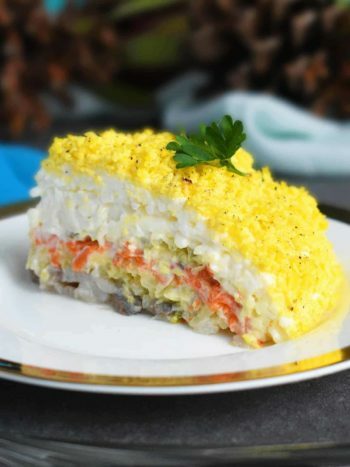 Using a cheese grater, finely grate 2 medium potatoes evenly over the herring and gently press down with a fork. 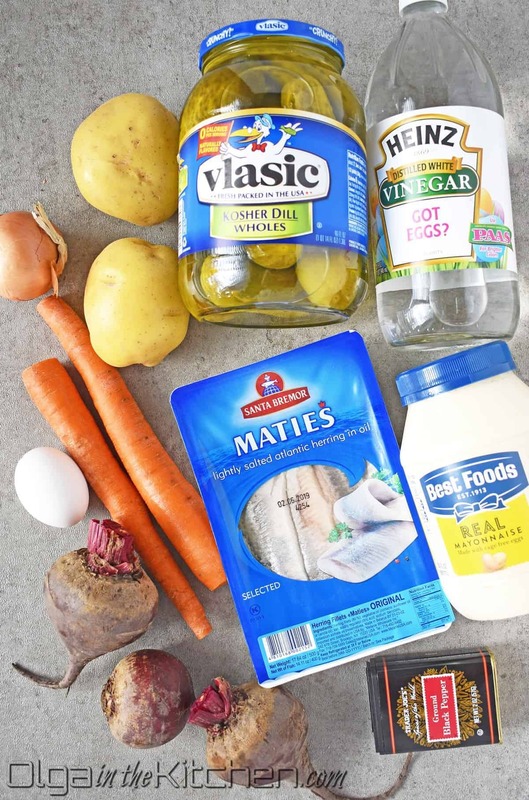 With a dull knife, spread 3 tbsp mayo over potatoes. Using same cheese grater, finely grate 2 medium carrots over the salad, press down with fork and cover with 3 tbsp mayo. Into the sieve, grate 4 kosher dill pickles, squeeze out the juice and spread evenly over carrots. Cover with 4 tbsp mayo. Into a sieve, grate 3 medium beets onto a big hole of grater. 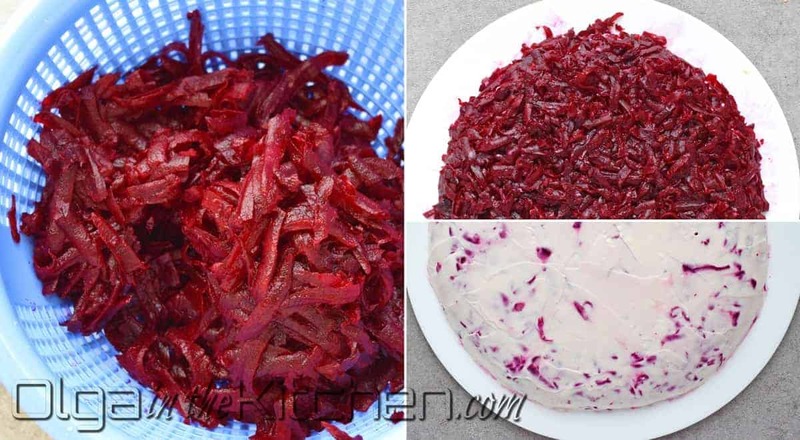 Squeeze out the juice from grated beets and evenly spread beets over the salad. Cover with 8 tbsp mayo or enough to completely cover all the beets. Separate 1 boiled egg – you need egg yolk. Using grater, top with finely grated 1 egg yolk and sprinkle with ground black pepper. 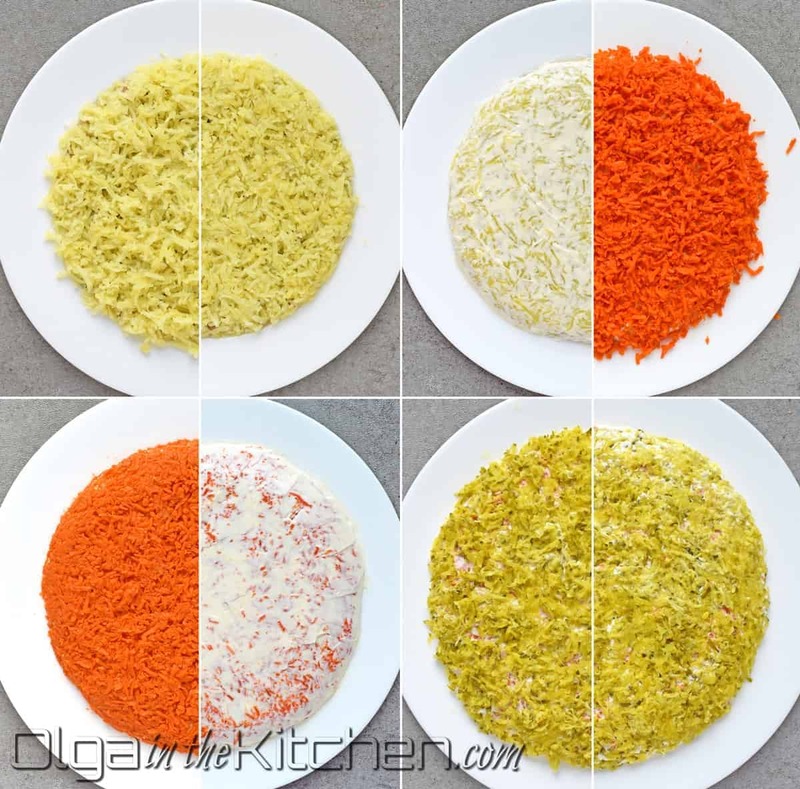 (Be sure not to squeeze egg yolk when grating). Refrigerate until ready to serve. This salad is good refrigerated for 3-4 days. Top with fresh parsley before serving. 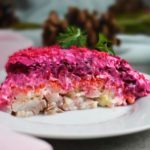 Shuba Salad (Layered Beet Salad with Herring): an easy festive, classic Ukrainian dish created from root vegetables. The beets give a beautiful finishing touch to this salad and it’s absolutely stunning for major events. Garnish with boiled egg yolk or simply fresh herbs such as parsley, dill or scallions. Separate 1 boiled egg – you need egg yolk. Using grater, top with finely grated 1 egg yolk and sprinkle with ground black pepper. (Be sure not to squeeze egg yolk when grating). Refrigerate until ready to serve. This salad is good refrigerated for 3-4 days. Top with fresh parsley before serving. © Olga in the Kitchen. All images & content are copyright protected. Please do not use my images without permission. If you want to republish this recipe, please re-write the recipe in your own words, or link back to this post for the recipe. Thank you for visiting Olga in the Kitchen! Thanks Janna, I’m happy to hear you liked it so much. 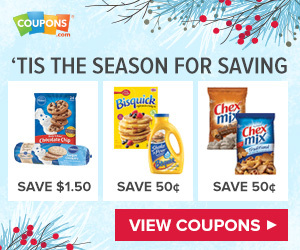 It will be a hit for major holiday like Easter!! !